Whole cloves of Gilroy garlic pickled with herbs and red pepper flakes. Healthy, delicious, and guilt-free! Eat right out of the jar or chop in green salads, potato salad, or top deviled eggs. Put in dips, tuna salad, relishes and antipasta platters. Delicious cooked and mashed in potatoes, or tossed with pasta. Chop and add to olive oil and balsamic vinegar for a bread dipper or use as a relish in hot dogs, hamburgers, and sandwiches. Terrific in martinis and Bloody Mary's. Case of four 32 oz. 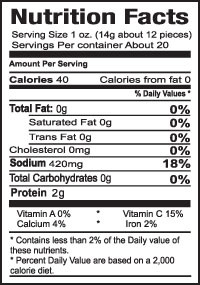 (20 oz.w.)jars. 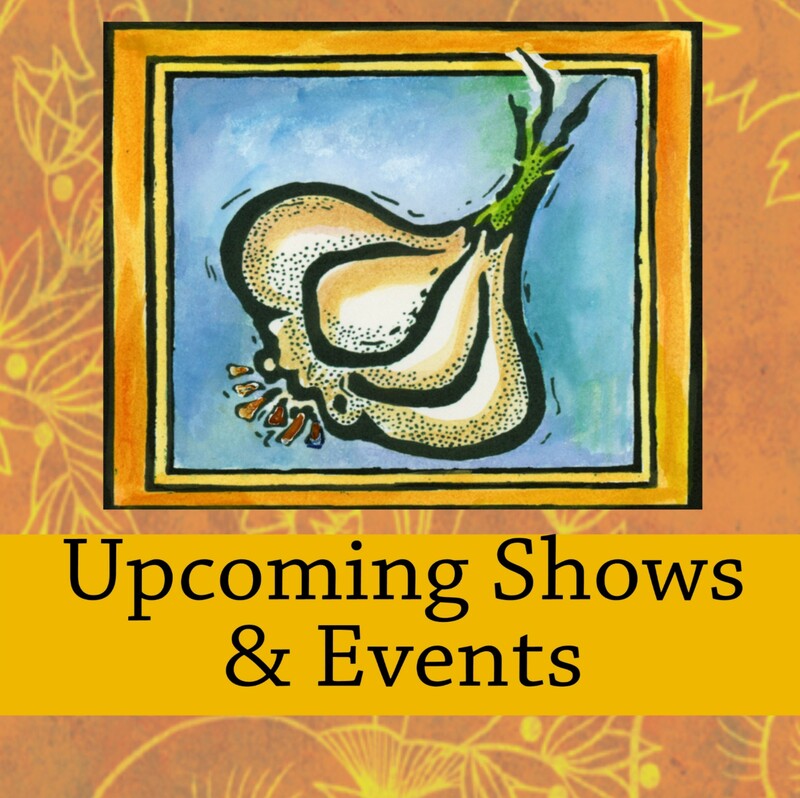 I have purchased products from Garlic Festival for more than 10 years and have always been completely satisfied. My favorite is the Spicy Herb. I buy it by the case! I love this garlic and mostly use it for salads. But, I bought this last week, and have already gone through a jar just by eating it from the jar. I also put in my sandwiches. 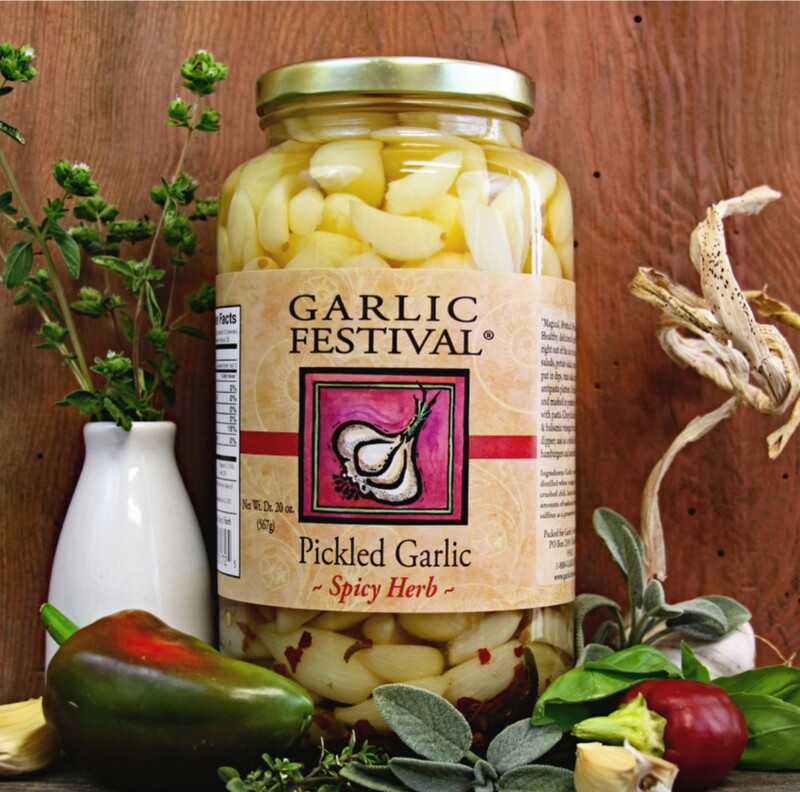 Best pickled garlic around.